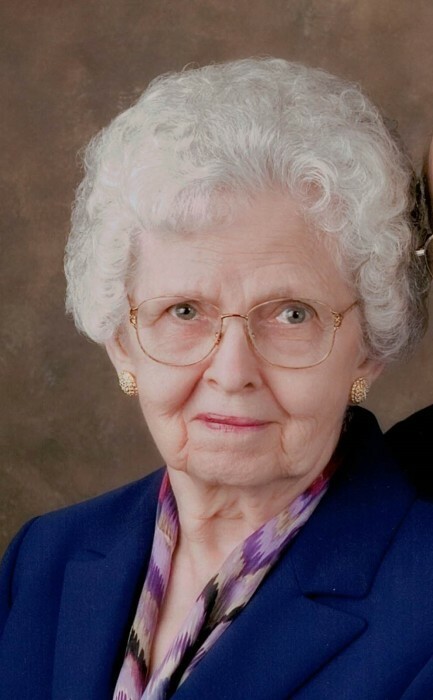 Lorraine Reinkensmeyer, 95 of Hoyleton, passed away at 6:33 p.m. on Thursday, October 4, 2018 at SSM Health St. Mary’s Hospital in Centralia. She was born on November 21, 1922 in Hoffman, the daughter of Edward and Hulda Tyberendt Hugo. She married Edgar W. Reinkensmeyer on October 28, 1956 at Trinity Lutheran Church in Hoffman and he passed away on February 16, 2011. Also preceding her in death were her parents, 3 brothers; Edgar (Fayola) Hugo, Herbert (Barbara) Hugo and Alfred Hugo, a sister Bernice (Clarence) Little and a son in law Mark Robbins. Left to mourn her passing is her son; Samuel (Lillian) Reinkensmeyer of Bend, OR, 2 daughters; Susie Robbins of Centralia and Becky (Bobby) Cartmill of Chesterfield, MO. 4 grandchildren; Christopher (Mary Margaret) Cartmill of New Orleans, LA, Andrew Cartmill of Omaha, NE, Larissa Reinkensmeyer of Chicago and Alexandra Reinkensmeyer of Milwaukee, WI. A brother in law Gilbert E.(Helen) Reinkensmeyer of Kalamazoo, MI. 3 sister in laws; Garnell Hugo of Hoffman, Ruth (Ralph) Harnagel of Festus, MO and Jeanette (George) Heil of Marysville, WA. Lorraine supported her husband Edgar with opening and closing the family’s Reinkensmeyer’s store in Hoyleton for 24 years. Prior to marrying Edgar, she worked at the “Dress Factory” in Centralia. She was a longtime member of Trinity Lutheran Church in Hoyleton, Hoyleton American Legion Auxillary, Hoyleton Community Club and served many years on the Hoyleton Hofbraufest Food Committee. Funeral services will be held at 10:00 a.m. on Tuesday, October 9, 2018 at Trinity Lutheran Church in Hoyleton with Rev. Nathan Wollenberg officiating. Burial will follow in the church cemetery. Friends may call from 5:00 to 8 ;00 p.m. on Monday and 9:00 to 9:45 a.m. on Tuesday at the Trinity Lutheran Church in Hoyleton. Memorial contributions may be made to Trinity Lutheran church. Styninger Funeral & Cremation Chapel in Hoyleton is in charge of arrangements.